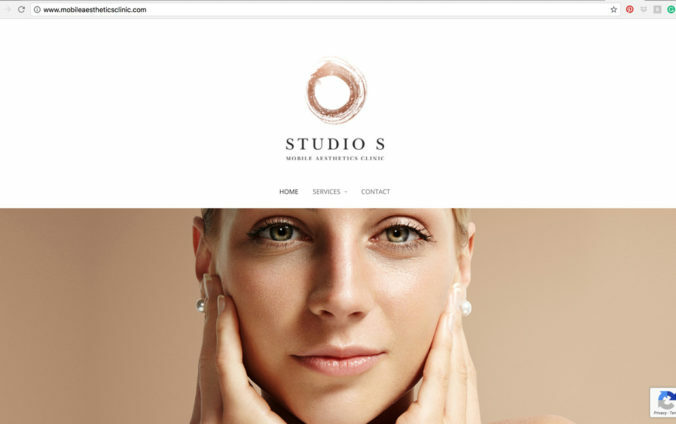 Susan from Studio S met with us to discuss redesigning her logo and revitalizing her branding. 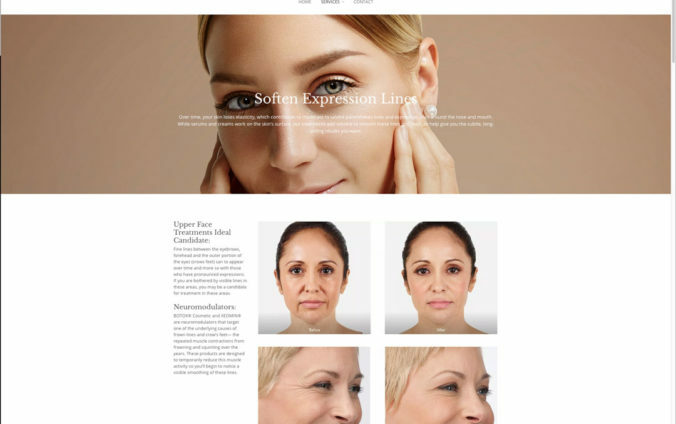 It was our goal to make sure every piece of the identity had a soft almost museum/fashion feel. 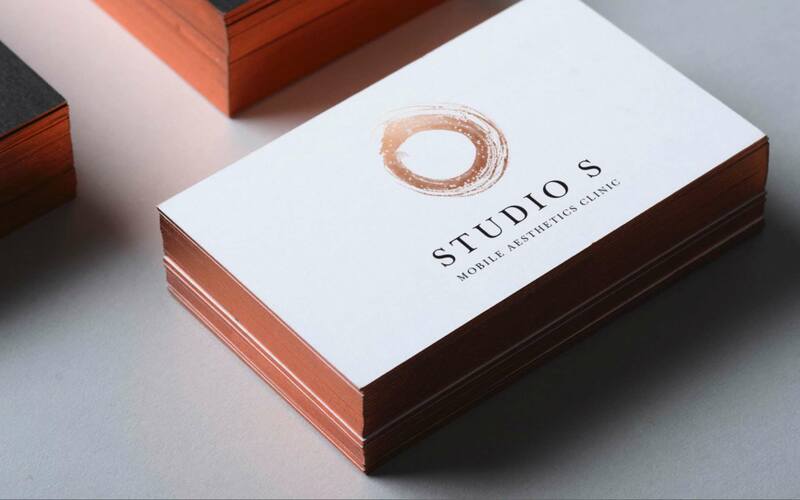 Her practice is a mobile aesthetics clinic, so we worked with local business Bayview Printing Co. to create her card which is a soft, thick, metallic copper letterpress as well as side painted copper. 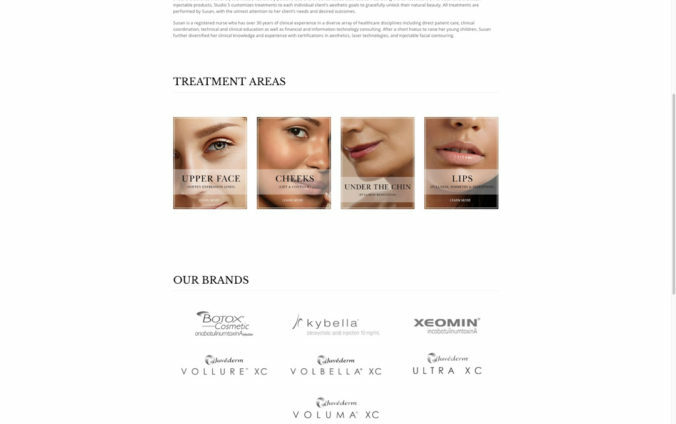 We continued the same aesthetic approach to her website – mobileaestheticsclinic.com .